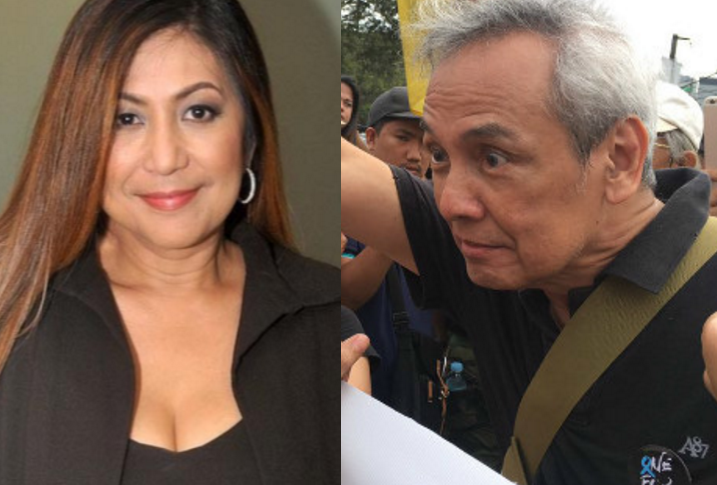 Actress Vivian Velez wrote in her Facebook account an exposé about a group during Martial Law regime where she said that Jim Paredes' mother was a member. Steve Psinakis is known for his role in the movement against the Marcos dictatorship. He is Greek-born American who led the San Francisco council of the Ninoy Aquino Movement (NAM). He had close ties with former Senator Benigno "Ninoy" Aquino Jr., an anti-Marcos opposition leader. "They were responsible for bombing different establishments here including the old Philippine Plaza where innocent people died. This was where Nonoy Zuñiga lost his leg!," Velez added. "So how can he talk about killing the innocent when his own mother has blood on her hands!," Velez wrote. "Light-A-Fire Movement" was a group of prominent people who decided that violence was the solution against "abuses" of the Martial Law. They perpetrated many terroristic bombings in Metro Manila in the early 80's. They trained mostly in the United States, with targets here in the Philippines. According to blog Kahimyang, this group was responsible for several bombing in the country including Rustan's mall in Makati in September 12, 1980. The explosion at Rustan’s injured 70 people and killed an American tourist. On the night of October 4, 1980, more blasts rocked the Philippine Plaza, Century Park Sheraton, and Manila Peninsula hotels. Doris Nuval Baffrey, a Filipina married to an American, on October 19, 1980, detonated an explosive at the PICC while President Marcos was addressing an international conference of the American Society of Travel Agents. Doris Nuval Baffrey and 15 other people were arrested in connection with the PICC bombing. Marcos issued more arrest orders for some 30 persons allegedly indirectly tied to the bombing including Ninoy Aquino and 8 others living in the US, among them Psinakis. Baffrey's group, the "April 6 Liberation Movement", had ties to the Light-A-Fire Movement. In Metro Manila, the core operatives of the Light-A-Fire Movement based in the Philippines, was arrested while meeting in Quezon City. Among them were businessman Eduardo Olaguer, AIM professor Gaston Ortigas and Ester Jimenez, mother of Jim Paredes (of the Apo Hiking Society fame). The group members were all convicted and sentenced to die by electric chair in 1984 but the sentence was never carried out. After the EDSA people power in 1986 and the abolition of the Marcos dictatorship, the Supreme Court nullified the death sentences. And also what's surprising? Psinakis was awarded the Aquino Government's first Presidential Citation "for outstanding service to Philippine democracy" six months after his arrest. He was cited for his work "as an officer of patriotic Philippine exile organizations". In an interview while he was in San Francisco for the October hearing, Mr. Psinakis said, "Rightly or wrongly, I'm perceived as a hero in the Philippines". And now the question. Are these people can be considered "Heroes" or just "Terrosists"? Share your thoughts in the comment section.